All in all, we lost the first half hour of our observations, which is always frustrating. 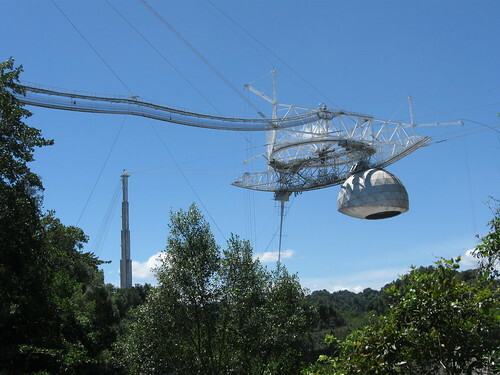 I was glad to be here at Arecibo, rather than observing remotely, though. This way, I at least knew immediately what was happening and being done to fix the problem. When observing from Cornell, I’d be stuck sitting around, waiting for the phone call to tell me that things are back online and I can start observations. Here, I was able to stick my head into the room containing the WAPPs to ask what was going on. I still couldn’t do anything to help, though, which was personally frustrating for me. I don’t have any experience with hardware, so the nuts and bolts of the WAPPs are a mystery to me. There are many different types of knowledge in this world, and I am always impressed by people who have mastery of a type of knowledge that I don’t. Tonight was a prime example of that. Even though we lost a half hour of observations, the turnaround from noticing a problem to identification of the problem to a solution felt amazing quick. I’m sure it would have seemed longer if I were in Ithaca, having no idea what was happening. Being here to witness the problem and its handling makes me appreciate the staff here that much more. I’m glad to know that they feel as strongly about wasted telescope time as I do. After a year of handling my share of ALFALFA observations remotely, scheduling has finally worked out so that I had the chance to come to Arecibo to observe. I’ve been here three days now and have had a blast, from exploring the telescope to meeting all the people who I’ve only interacted with via the internet/telephone until now. There’s a lot I could share, but I wanted to start with just how impressive Arecibo is an an engineering feat. 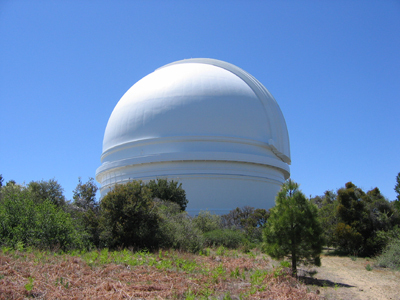 I went up to the platform of the telescope my first day and was blown away. Above, is a picture I took of the platform and arm of the telescope. The platform is the triangular structure you see suspended in the air. It is supported by cables running to three towers. Below the platform, is a crescent-shaped arm, and on that arm is a line feed and the Gregorian dome. The ALFA receiver is housed in the dome. The arm rotates around the circular track and the dome can move along the arm to control the pointing of the telescope, since the dish is fixed. You can find the details of the telescope with all the numbers here. Suffice it to say, the structures being supported are massive. It’s hard to believe it’s possible sometimes, although that’s not the best thought to have while on the platform, when you’re far above the dish. Since the night’s observing is about to end, I’ll let pictures do the rest of my talking for now. The pictures I’ve taken at Arecibo Observatory so far are here, and I’ll eventually add descriptions.